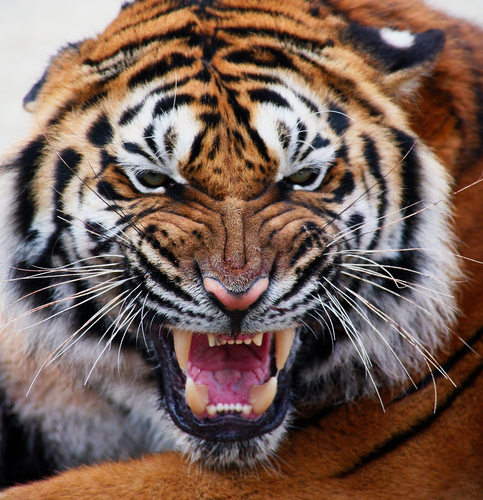 365 DAYS OF GRATITUDE – DAY 219: Chased By The Tiger? I made a commitment to myself to live FEARLESSLY and I do. I follow my heart, my intuition and make my decisions in alignment with who I am. Living without fear does not mean that I put myself in dangerous situations in order to prove to myself or to others that I can overcome fear. Living in the absence of fear means that I do not have a knot inside my stomach everyday, from fears known and unknown; unfortunately, most people do. In the process of releasing fear I have acquired skills that allow me to recognize when fear starts to peak its head, so that I can look at it, understand where it’s coming from and release it. Refusing to live in fear means that my decisions are not based in fear, but rather stem from trusting the processes of life. Most people are consumed with fear and are devoured by it every single minute. The stress fear creates is tremendous and can cause serious illness. Do you have a tiger in your life?